The regular championship of student's basketball Super League of Russia of the Student's Basketball Association has ended. The USUE team took the sixth place in the Vostok division reaching the semifinal stage of the League in Ivanovo (from February 15 to 17). On the first day of the competitions, the USUE team met with the representatives of Mari El Republic: VSUT from Yoshkar-Ola. The opponents actively started the game with heave attacks and were ahead by 11 points after the first half of the meeting. The second half began also not optimistic for our team: VSUT team was ahead by 19 points. Our basketball players showed a real sporting character and will to win, thanks to which they pulled out the win with the final score of 62:57. In this game, Alisa Meshchakova showed herself as the real leader of our team. Thanks to her sharp attacking actions, the USUE team could win at the end of the match: Alisa scored 24 points and made 8 regrasps. Besides, good playing was shown by the team captain Tatiana Katt and a first-year student Alexandra Meshkova, who scored 8 points and made 18 rebounds. 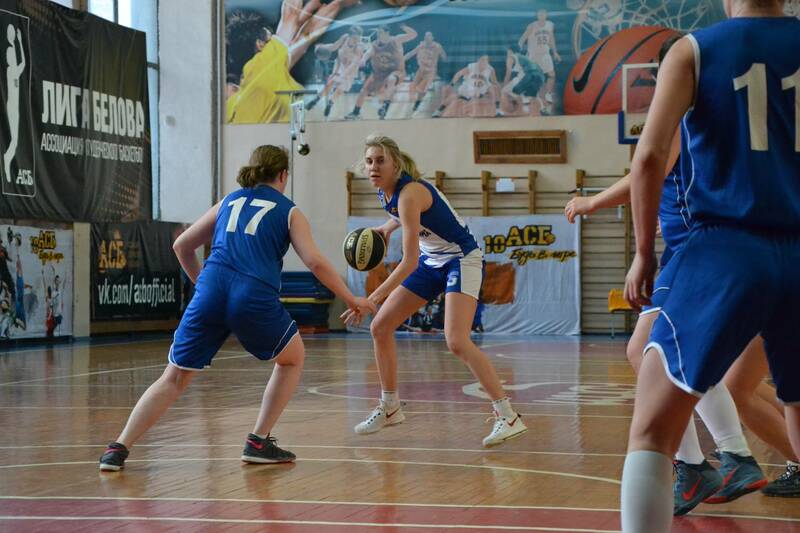 Unfortunately, in the next two games, our girls lost to the teams of UdSU from Izhevsk and TIU from Tyumen, finishing fourth in the semifinal. Now the USUE team of begins intensive training for the Belov League and for the Universiade of the Sverdlovsk region-2018. We would like to note that the USUE women's basketball team for the third consecutive year is successfully selected for the Belov League (the best 64 teams of the country out of 300 applicants). The USUE team thanks the University top management for the opportunity to participate in the best student competitions in Russia and hopes for further support of basketball in our University.